Many property owners that purchased real estate in the last several years with little or no money down are now in a position where they owe more money to the lender than the property is worth. A Short Sale occurs when a lender accepts less money than the amount owed on a mortgage. Most lenders prefer not to go through the lengthy and expensive process of foreclosure. In this market, many are willing to work out a mutually beneficial agreement with borrowers, whereby the lender will accept less than the amount owed on the property. Short sales are negotiated pre foreclosure. Today, a short sale remains one of the best options for those homeowners needing to sell, but owe more than their property is worth. Sacks Realty Group Inc. remains one of Orlando's trusted short sale experts. Our experienced team has an unrivaled success rate, which we attribute to handling all of our clients personally. We have partnered with experts in the complex process of negotiating with lenders on short sales. They have the contacts and can often negotiate with the lenders to accept less than the mortgage amounts. Contact us today if you would like more information about marketing your property through a short sale. Sellers - Considering a Short Sale? 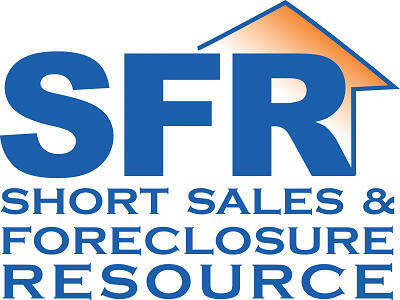 Is using our Short Sales & Foreclosure Resources (SFR) really necessary? It is so important to know how to work with lenders and how to present the offer to a lender that will make the lenders job easier and more likely to agree favorably. Understand that there are hundreds if not thousands of requests for short-sales. If a lender sees a well presented and thorough package compared to a package that will need much time and attention, which do you think will get the preferential treatment? As Sacks Realty Group Inc. can attest, our ability to close short sales and foreclosures depends in part on in seeing these transactions through. Calculate the value of your property. This will be accomplished by preparing a CMA and looking at the competition in your area and the condition of those homes. We will need to price and position your home so that it sells quickly and at a high enough price so the lender will agree to the terms. Calculate your home’s financial position. In this step we will examine the value from step 1 and compare this to the mortgages and other debt that is supported by the home value. If your home value is significantly less than your debt tied to the property you are a candidate for a short sale. We will start searching for a buyer, especially those that have expressed interest in buying short sale properties. Not every buyer will want your property given the status and tenuous nature of a short sale. The buyer must be willing to deal with extended deadlines and additional demands made by your lender. Your lender is the key to a successful short sale transaction and we will need them to feel confident in the new buyer. We’ll need to contact your lender and explain your situation. Lenders are under no obligation to accept a short sale and the terms will be examined closely by the lender. The lender is the ultimate decision maker and must give final approval for short selling your home. There may be tax repercussions in enacting a short sale transaction. Part of the process we will cover is the tax liability that may remain after the short sale transaction is complete. As with any tax related matter we will advise you to seek counsel from a tax professional or tax attorney. Work with Lenders to assist you in resolving the imbalance between home value and mortgage debt.